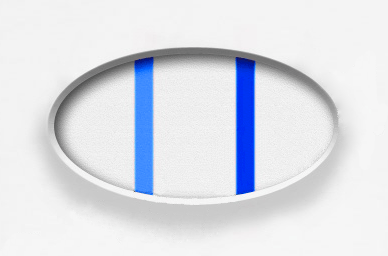 It's amazing how the thin blue line can make you feel shocked, happy, scared, worried, excited, anxious, jubilant, petrified, amazed and very grown up all at once. 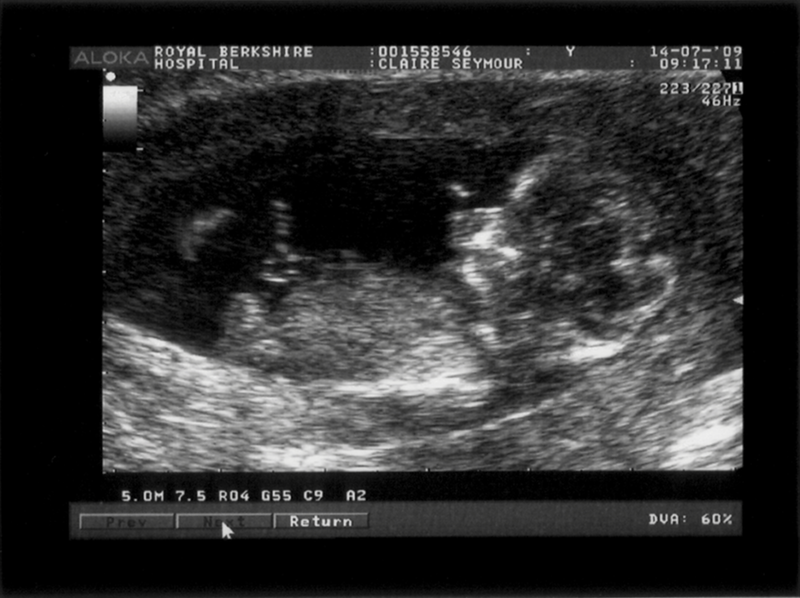 It's been several months since we found out the good news, but as is customary, we had to hold off telling the world until the end of the first trimester. Well, Tuesday this week was our decided "wait date", the date when we got to see out little one for the very first time. I must say that first scan is amazing and really really exciting. It finally makes things seem more real. 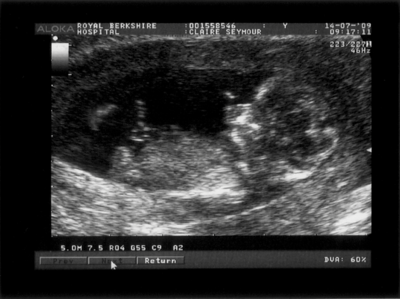 We've known it's for real for some time building up to the scan, but as they say "seeing is believing", and seeing the little one on the screen was truly amazing and fascinating. It's really amazing to see the little body appear on the screen and then move around with it's teeny weeny arms and legs. I'm sure I even caught a glimpse of it waving though it did also roll over away from the "camera" as if rolling over in bed in a kind of "leave me alone" way. If I had my way, I'd have sat there for hours playing with the little scanner thing getting a good look around and taking a lot more pictures than just the one we got. One thing is for certain: if anyone is ever unsure about whether or not they're going to keep an unplanned baby (ours is 100% planned), then this is likely to be the point in which they make up their mind. It's truly amazing and quite humbling. The current due date is 23 January 2010 though I wouldn't be surprised if I end up sharing my birthday. All in all, Claire and I are extremely happy and excited and we're looking forward to our new arrival.